The ‘Hit Back at Hitlekar – Get out of my Hair’ Campaign by Park Avenue Grooming (India’s Leading brand of Male grooming and Personal Care Products) is one of the most innovative campaigns in recent times. The campaign is centered on launch of their new hair care product ‘Beer Shampoo’ which claims to be made of real beer as an active ingredient. To increase the awareness of their new hair care product ‘Beer Shampoo’ and also to increase the engagement in their Facebook Page. 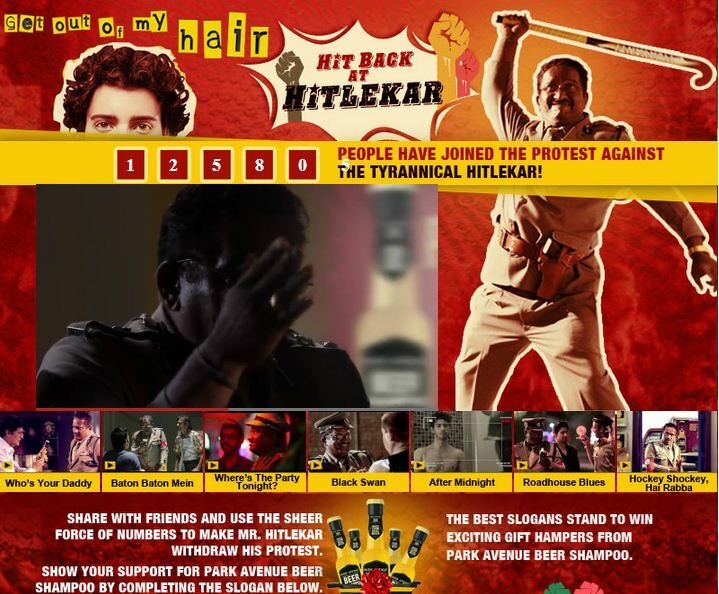 The campaign has series of videos which portraits ‘Hitlekar’ as villain for the youngsters who use Beer Shampoo. Here’s what you see when you open the Facebook App. The users can watch the videos in the Facebook App itself to get an idea of who ‘Hitlekar’ is and what he does. In one of those videos, he even forgives a terrorist but wants to punish the youngster who uses ‘Beer Shampoo’ which shows how much he hates the Shampoo. 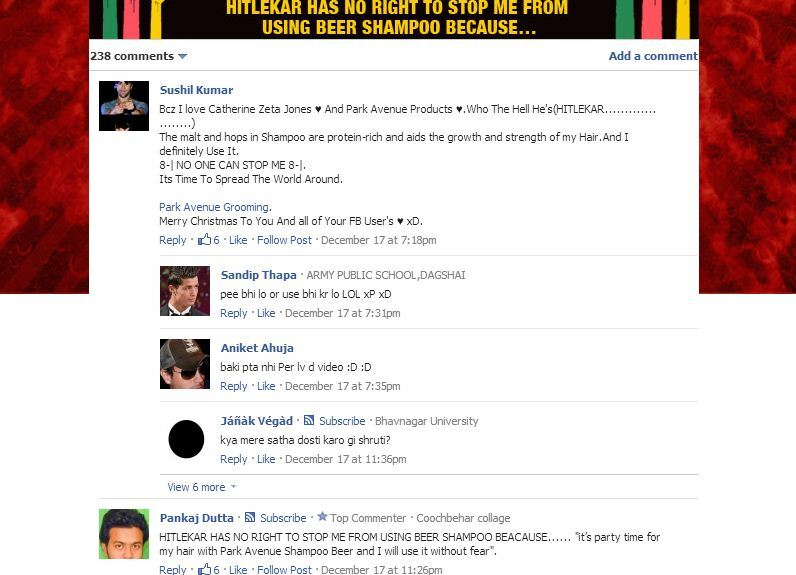 The users are supposed to complete the slogan ‘Hitlekar has no right to stop me from using the beer shampoo because’ in the comment section below the application. The Best Slogans stand to win exciting gift hampers from Park Avenue Beer Shampoo. The campaign clearly targets a niche set of male youngsters who would dare to use such products. It is an effort to change the mind set of the people against ‘beer’ shampoo. The ‘brand – connect’ factors works well and the campaign would definitely provoke a daring young male youngster to use the product. Over 12,000 people have joined the campaign to protest against the Villain ‘Hitlekar’ which means the number is ready to use the product. The videos used for the campaign are sure to evoke laughter and have the chances of getting viral. The application layout looks good except for the plug-in (Comment box) which seems to not work well with the layout. The posts around the campaign are limited. An increase in the number of posts around the campaign that could evoke laughter would have helped in more engagement. As I said, this campaign is one of the most innovative campaigns in recent times. More campaigns like this which could encourage the consumers to use the product will definitely get companies to invest more in social media.